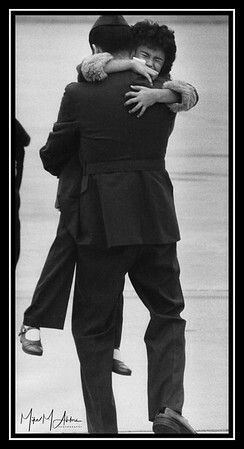 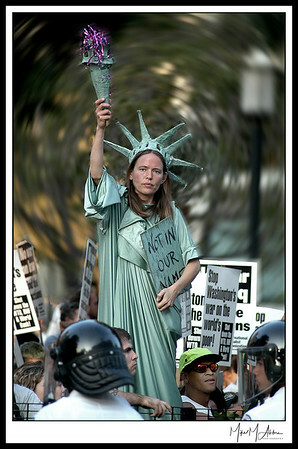 All photographs are the property of the photographer. 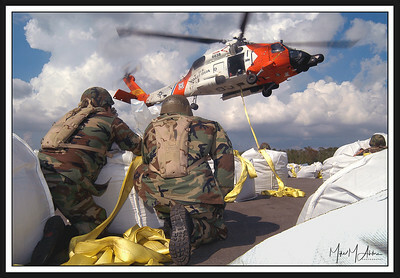 It is unlawful to download or otherwise use the photos without the expressed written permission of the owner. 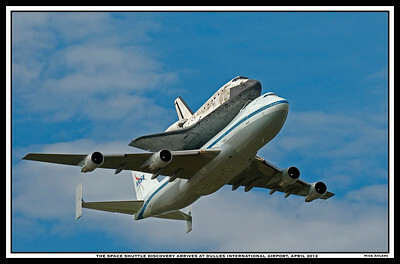 The Space Shuttle Discovery hitches a ride on a modified Boeing 747 to Dulles International Airport, where it is now on display at a National Air & Space Museum annex. 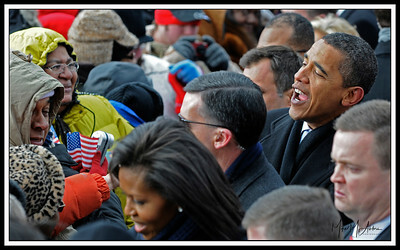 Soon-to-be president Barack Obama greats a crowd during a train trip from Philadelphia to Washington. 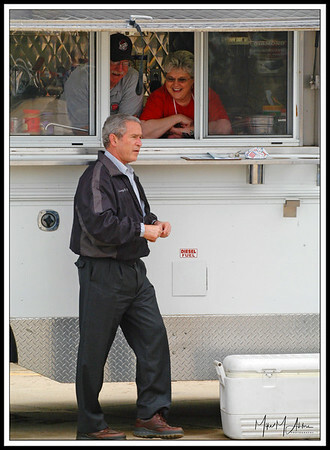 Eyes up here, Ladies! 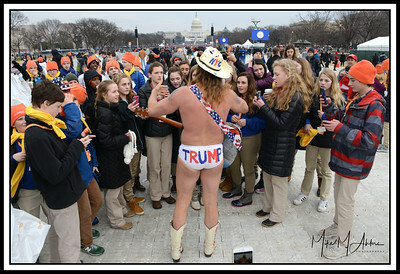 Robert John Burck, aka "The Naked Cowboy," entertains spectators at the 2017 inauguration of Donald Trump. 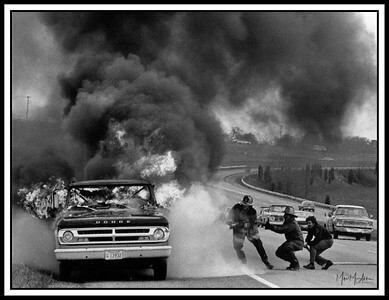 Montgomery County (MD) firefighters douse a truck fire on Interstate 270 near Germantown, MD. 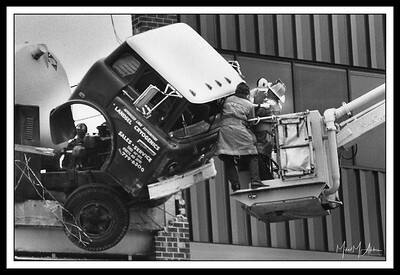 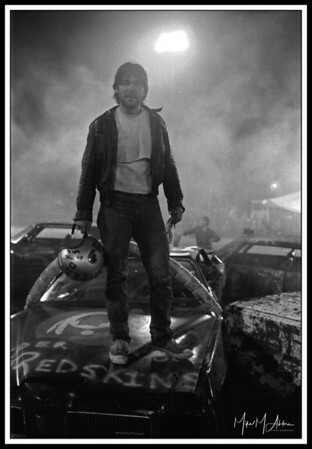 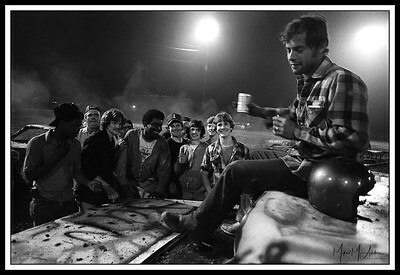 A road warrior stands on his demolished car at the end of a demolition derby in Gaithersburg, MD. 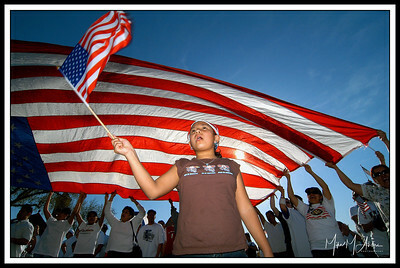 Elana, a 10-year native of Honduras, participates in a pro-immigration rally in Washington, DC. 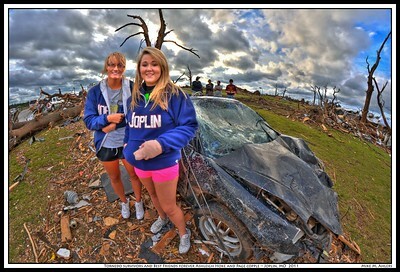 Tornado survivors and Best Friends Forever Ashleigh Hoke and Page Copple pose next to the car they were in when it was demolished by a tornado in Joplin, MO, in 2011. 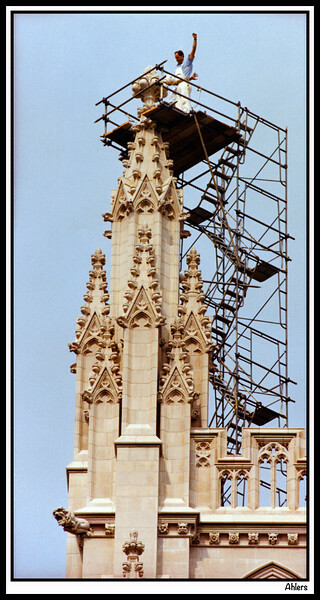 A stone mason places the final stone on the National Cathedral in Washington, DC. 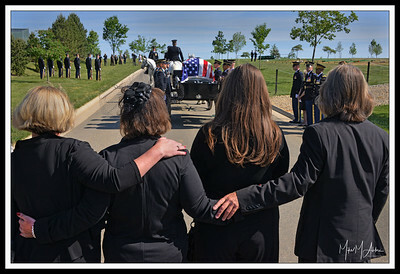 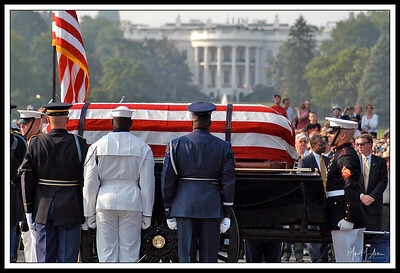 More than 40 years after he was killed in action in Vietnam, a U.S. Marine is laid to rest at Arlington National Cemetery. 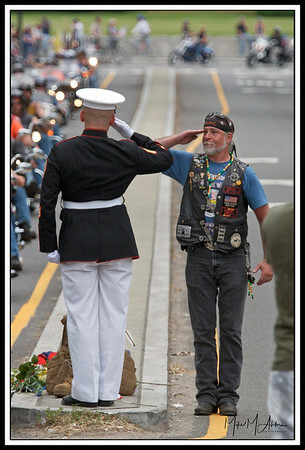 President George W. Bush chats with aid workers following a tornado in Americus, GA.
A Vietnam veteran exchanges salutes with a U.S. Marine during the Rolling Thunder motorcycle rally in Washington, DC. 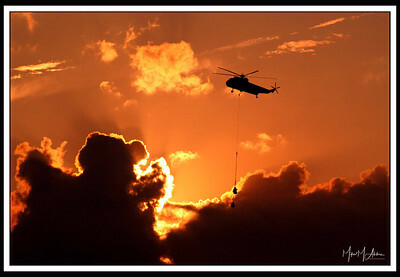 A heavy-lift helicopter ferries large sandbags to a site near New Orleans to be used to stop flooding following Hurricane Katrina. 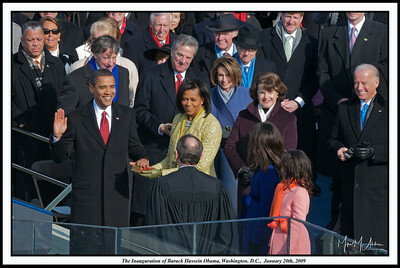 Barack Obama takes the oath of office during his first inauguration on Jan. 20, 2009. 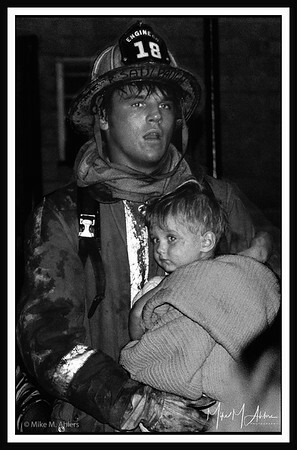 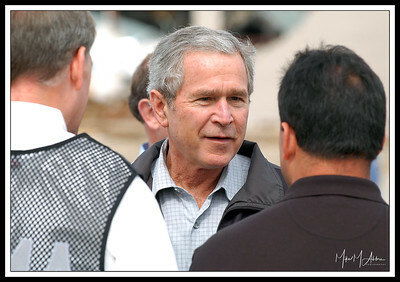 President George W. Bush talks to first responders and aid workers following a tornado in Americus, GA.